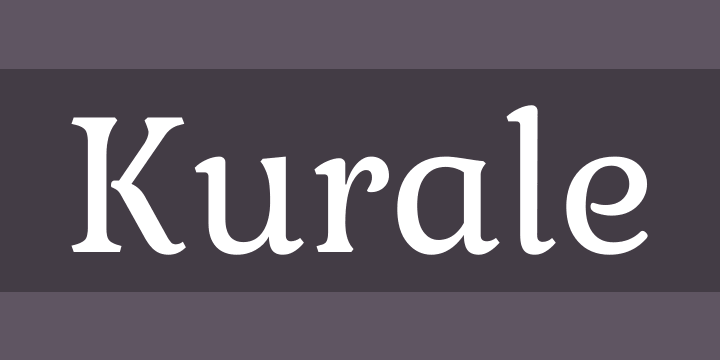 Kurale is a Latin, Cyrillic and Devanagari typeface derived from Gabriela. The Latin and Cyrillic is a serif typeface with soft shapes and special terminal forms which are shaped like curls. They connect each letter to create attractive word shapes and text blocks with a fine texture. The Devanagari is a modulated design that harmonizes with the Latin original. In small bodies of text she works well for reading, and in headlines provides interesting details to catch the eye.